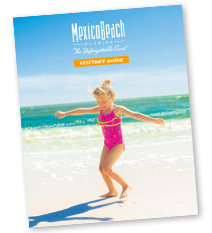 One of Mexico Beach’s biggest holidays is the Fourth of July, and to squeeze as much fun as possible in one day, they start their festivities early. In fact one could say, this little beach town literally hits the ground running! All ages are invited to lace up their sneakers for the Sandy Shoes 5k Fun Run held Friday, July 4, at 7:00 a.m. (CDT) at Under the Palms Park on Seventh Street. This family-friendly event features an easy course perfect for both runners and walkers of any pace to enjoy the fresh air and camaraderie of fellow racers. For participants that preregister before July 2, the entry fee is $15 and includes a race T-shirt. At noon on July 2, the preregistration price increases to $20. Participants will receive a T-shirt, but preferred sizes won’t be guaranteed. Race packet pickups will be available at the Mexico Beach Welcome Center from 9:00 a.m. to 3:00 p.m. (CDT) on Thursday, July 3, or on race day from 6:00 a.m. to 6:45 a.m. Parking is located at the vacant lot across from Under the Palms Park. After the race, grab the kids—and their fishing poles—and hop on over to Canal Park for Mexico Beach’s annual Kids’ Fishing Tournament. From 9:30 a.m. until 11:00 a.m, all junior anglers ages 2 to 14 are invited to try their luck at hooking the big one. There is no entry fee and all participants and their families will be treated to hot dogs, chips and cold drinks. It wouldn’t seem like the Fourth of July without a spectacular display of fireworks, and Mexico Beach’s pyrotechnics don’t disappoint! Whether you watch the 8:30 p.m. spectacle on the beach, from the balcony of your vacation rental or at one of Mexico Beach’s lively restaurants, you’ll have a wonderful time as everyone wishes “Happy Birthday” to America!